Tibetan’s sure were very precise when it came to naming. 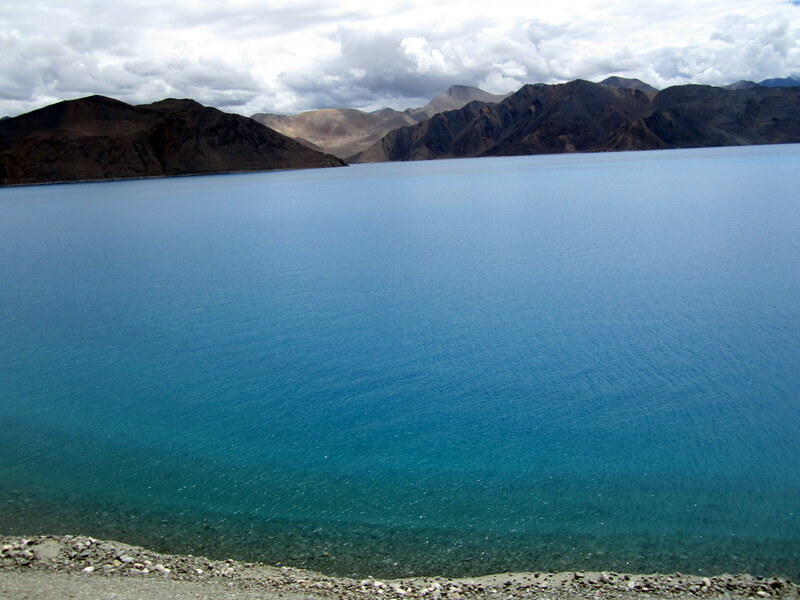 Pnagong Tso means “long, narrow enchanted lake” and the description fits to a T. Its location at a height of about 4,350 m (14,270 ft) with a length of 134 km (83 mi) and saline water that freezes in the winter itself gives Pangong much claim to fame. But that is until you reach there. 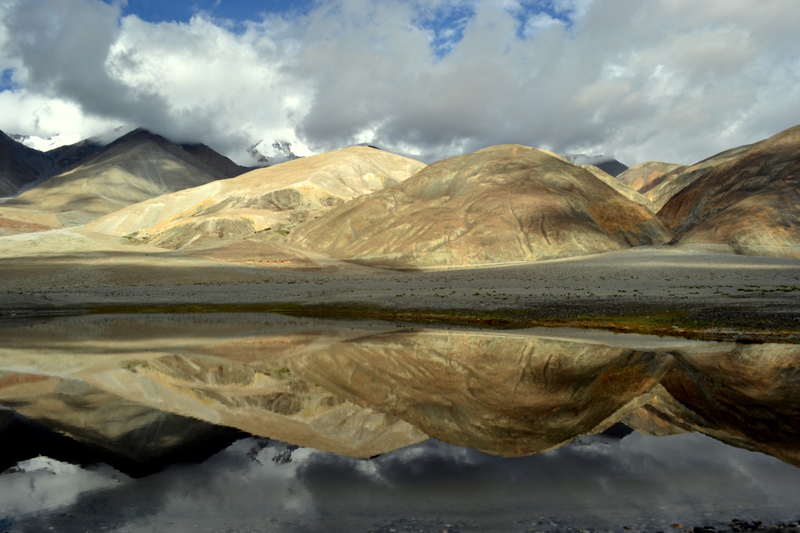 So after returning from Nubra Valley the next day we set out to take in the sight that we had earmarked as the highlight of the trip. 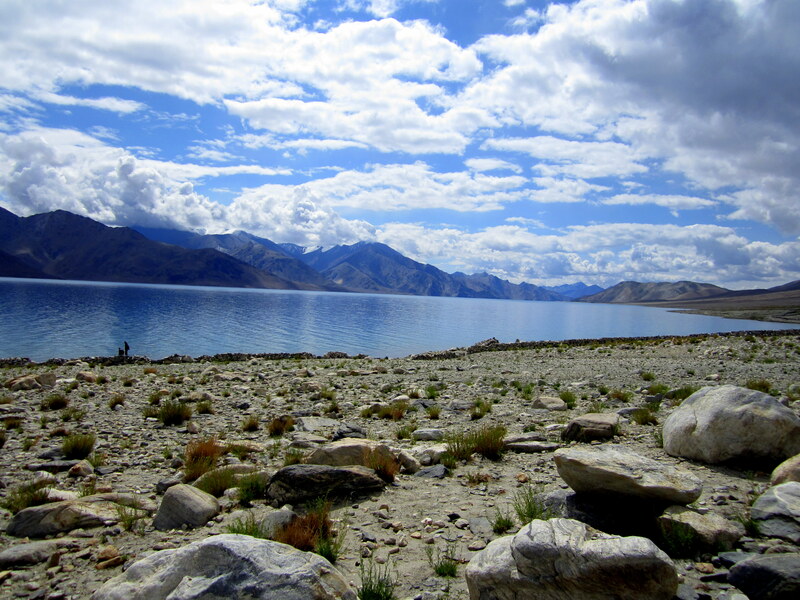 It was another 5+ hour drive from Leh to reach Pangong Tso. This time the route was less scenic (or probably we had gotten used to the awesomeness of Ladakh landscape) and our only major stop was at Chang La. 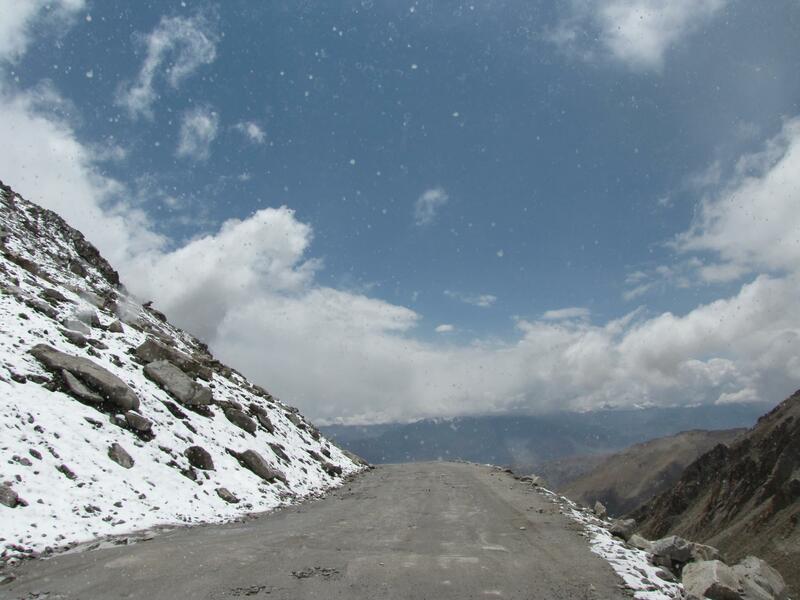 At 5,360 m (17,590 ft) it claimed to be the 3rd highest mountain pass in the world, although quite possibly its another inaccurate claim. However Chang La did have more snow as it was a less sunny day and we wasted no time before engaging in a bit of snowing throwing fun. The halt had to be brief given the altitude and so without much delay we set off to Pangong Tso where we were to camp for the night. We reached late in the afternoon with a partly cloudy sky but even these specks of sunlights was sufficient to leave us in awe at the sight that was infront of us. I will just let you take a look and judge rather than aim to describe it. It well and truly left us spellbound. 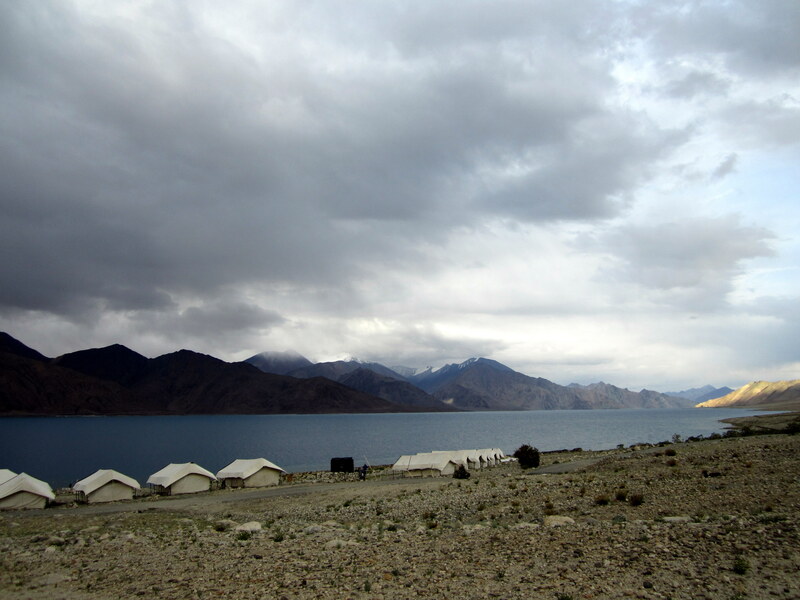 All the pictures or the visuals in movies do no justice to the actual awe-inspiring sight of Pangong Tso and Changchenmo mountains to the north. Tibetans got it right, it was enchanting. After indulging in our own photographic endeavours and then coming to the realisation that this awe-inspiring sight cannot be captued in all its magnificence on lens and has to be taken in first hand we gradually moved on to enjoy our time there. Some of us decided to take a walk by the lake through naturally cobbled and at times soggy pathway all the way over to the nearby village back, all the while taking in the brilliance of this place and enjoying the atmosphere. Late in the evening we were back at camp site. The night was as fun as it could be when a group of old friends get together at a wonderul setting under partially moonlight night. 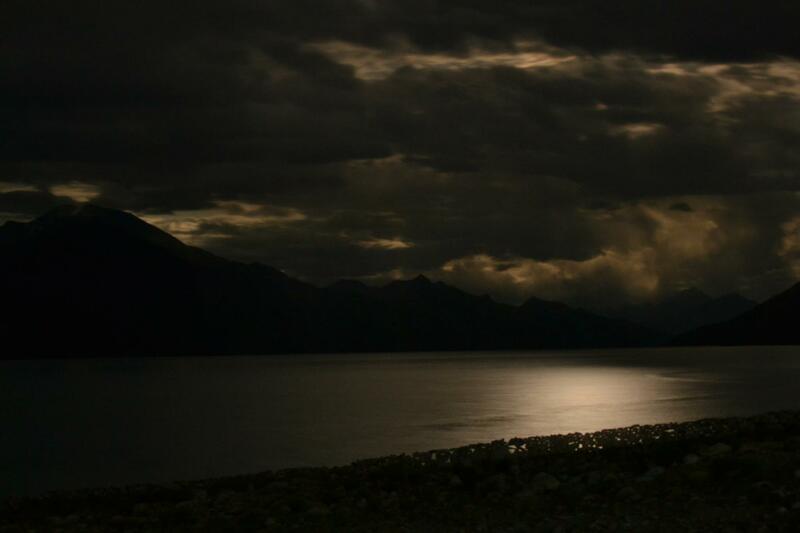 The more perseverant and enthusiastic among us set up their tripods to get a good shot of Pangong Tso on a moonlight but unfortunately were thwarted in their attempt by the cloudy sky. Our campsite by the lake. We thought we had seen quite a spectacle the previous day. However next day morning we were proven wrong as we woke upto a sunny day with Pangong in all its glory under the sunlight. It was again feeding frenxy for the cameras as we try to capture those splendid sights as best as we could. Below are a sample of my efforts. 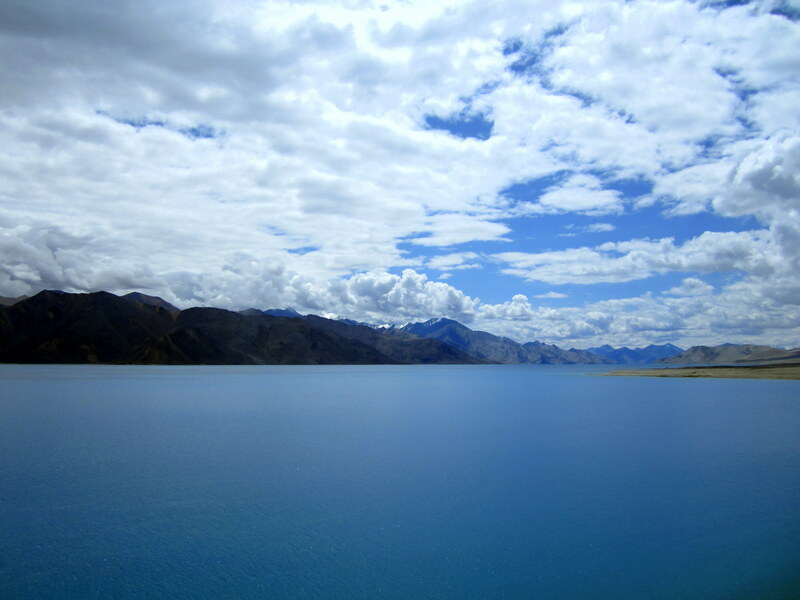 This is what a good morning by the side of Pangong looks like! 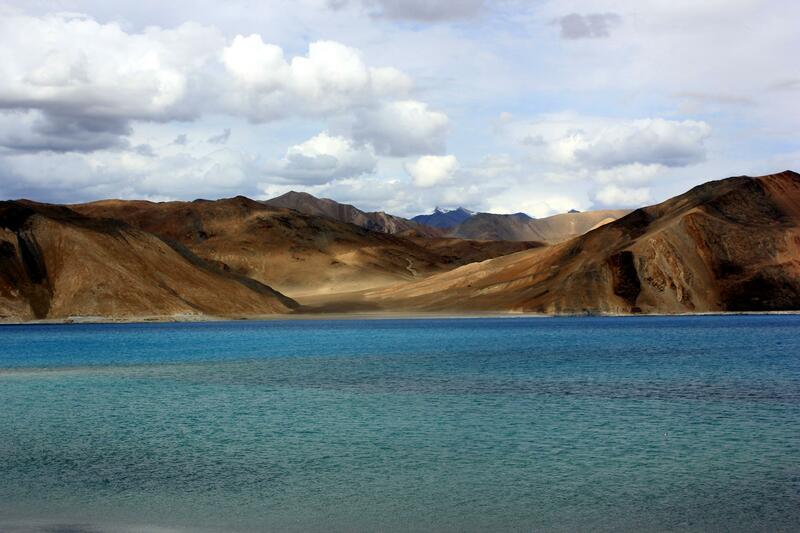 The richer shades of Pangong under intense sunlight! Soon though after one last meal by the lake it was time for us to wrap up and head back to Leh lest we be too late to cross Chang La with a little bit of snowfall expected which did arrive without fail. 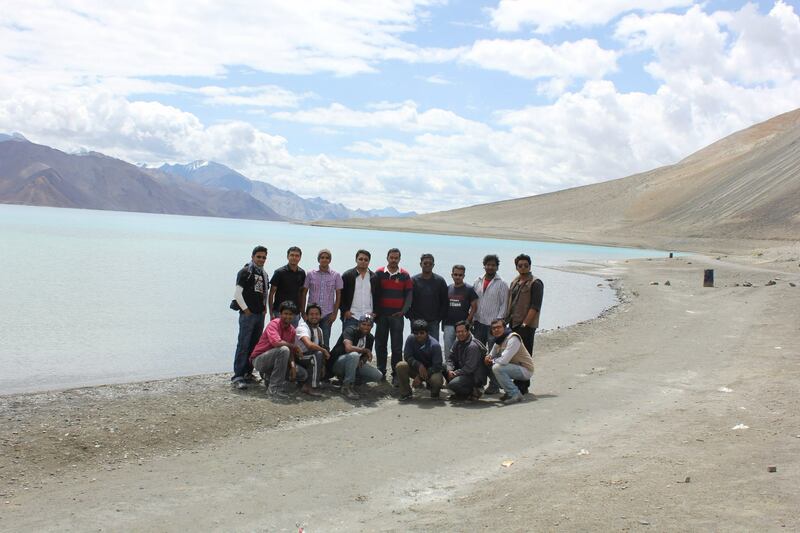 Now we were back in Leh looking forward to one last adventure for the trip – rafting in Zanskar! Snowfall on our way back! The full team of roadtrippers!